Printed the rest of the ornaments! 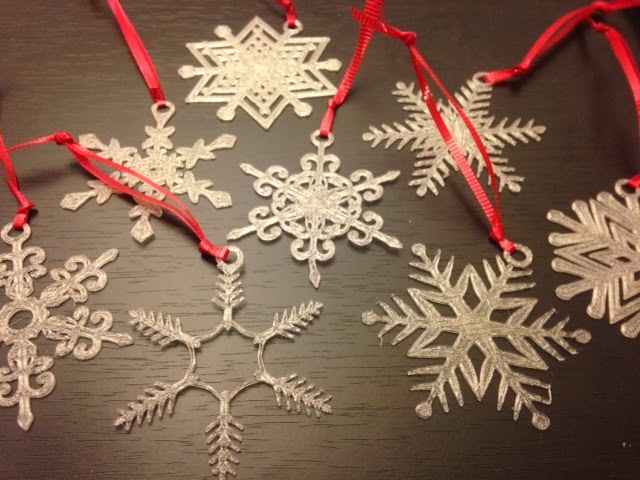 Settings: MakerWare .3mm/low in 7-9 minutes per ornament. Technical notes: I tried printing one of these on an Afinia H-Series at work and it did not go well, either with or without raft, and even after thickening. I'm not sure why I can't get similar results on both printers, but this is a battle that the Replicator 2 wins hands down.